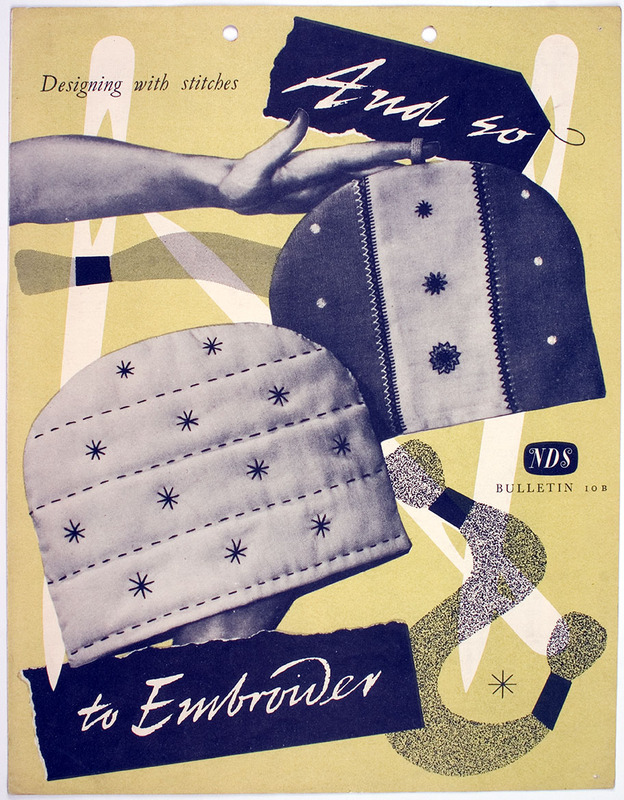 The Needlework Development Scheme in Scotland was a venture that ran from 1934-1939, and 1944-1961 and was a collaboration between art and design education with industry. Funded by the thread manufacturers of Paisley J & P Coats (anonymously at the time) the aim of the Scheme was to encourage greater interest in needlework and to improve the standard of design. During its time the Scheme was led by the educational philosophies of the period and looked to improve the standard of design and technique from its educational starting point by helping both teachers and students to improve their own skills. 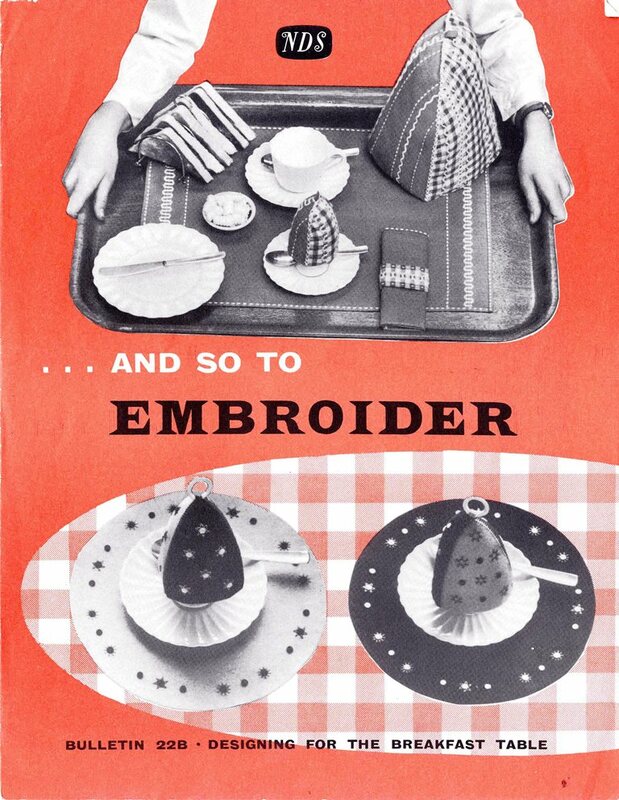 Of course by encouraging embroidery J & P Coats were also creating a future market for their threads and at the Scheme’s height in the 1950s J & P Coats spent the equivalent of £1m on the printing of 15 million bulletins which were mostly issued for free. 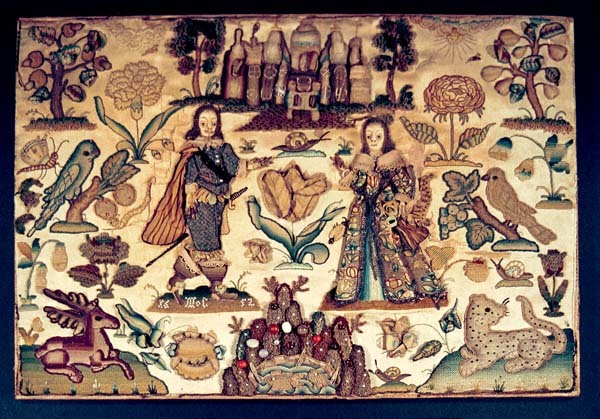 As part of this endeavour a large loan collection of embroideries from Britain and abroad was developed with examples being purchased or donated. 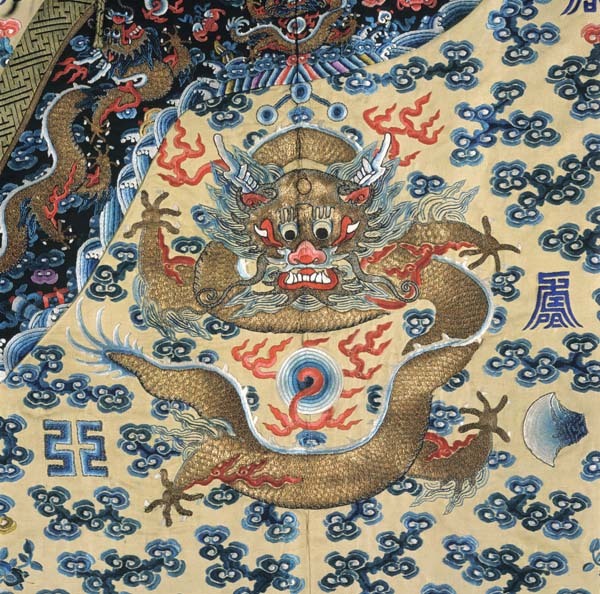 Initially the collecting policy for the Scheme focused on modern pieces of work and the committee members selecting the embroideries for purchase were advised not to seek historical examples as it was understood that museums would already be collecting historical embroideries as part of their collecting policy. However a significant collection of historical items still developed as part of the Scheme’s loaning collection. 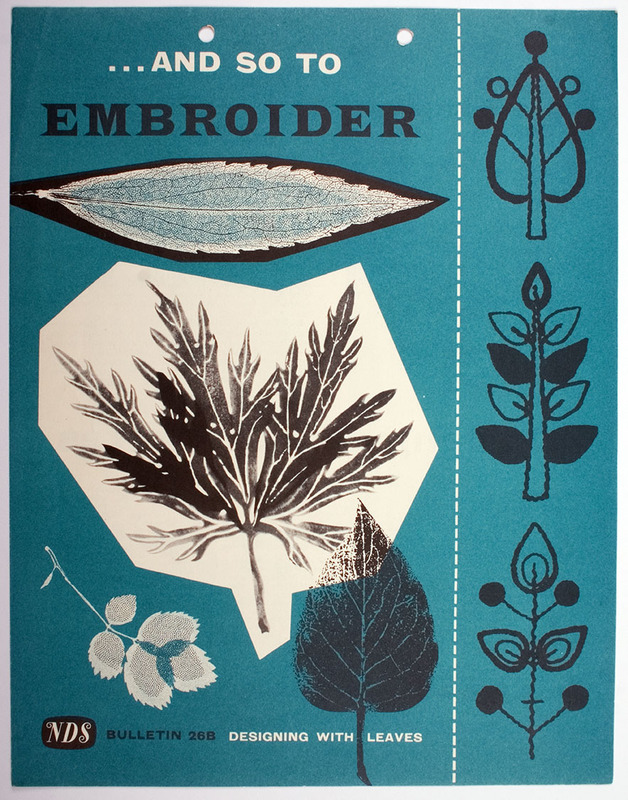 Eventually since the inception of the Scheme in 1934 approximately 3500 specimens of embroidery were gathered and then split into smaller circulating collections that could be borrowed free of charge by schools and educational groups throughout the UK. A testament to its goal of improving design and encouraging innovation this Scheme was perhaps so successful because it sought to inspire people to embellish and create items that would fit in with contemporary life at the time. 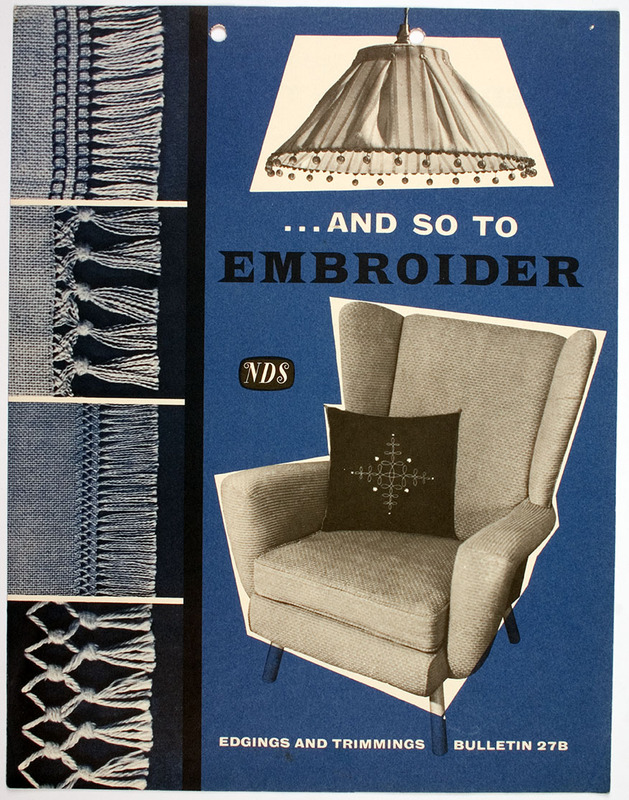 Many of the bulletins published encouraged experiments using simple, inexpensive fabrics and thread that could be enhanced by using the natural characteristics of the weave or pattern. 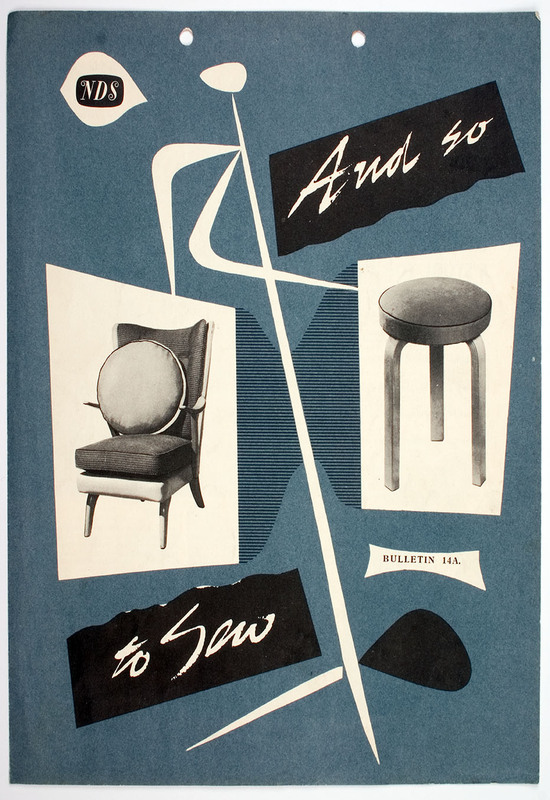 These publications were produced to provide “useful and attractive ideas to stimulate interest in needlework and embroidery”, with the first bulletins of And So to Sew and And So to Embroiderer being released in January 1949. Eventually funding for the Scheme ran out and the publications stopped and the large loan collection that had been developed was dispersed among the UK’s educational institutions and museums, including the Glasgow School of Art. 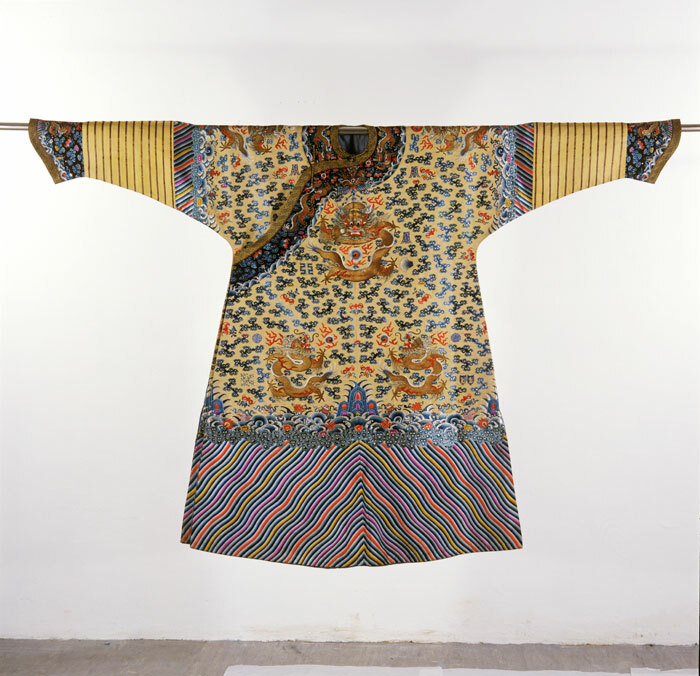 Part of the reason that the GSA Archives now has such a rich and diverse textile collection is because of the items we received from the Needlework Development Scheme, including our Imperial Chinese Robe, Decorative Animal, 1652 Stump-work Picture and more. One such item, our Eskimo Doll was recently mentioned in the post The GSA Archive’s Textile Collections. At the time of writing this post our set of an Eskimo Doll was of unknown origin and history, however some further investigation has shed a little light on this item’s journey into the archive. 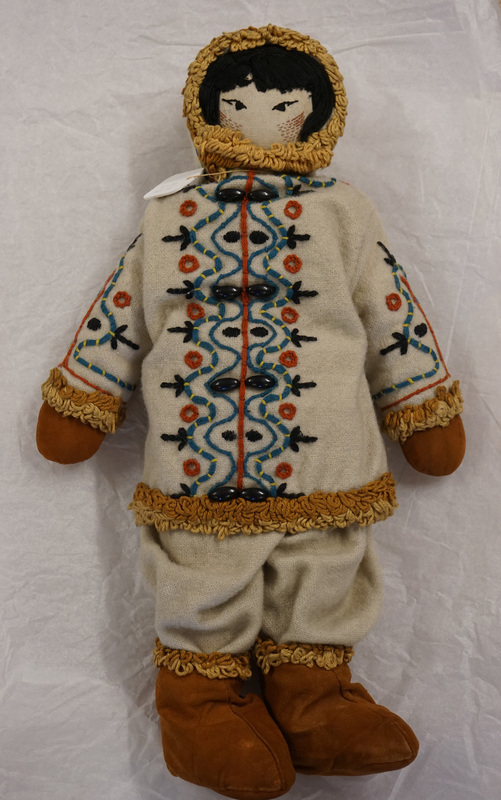 The Eskimo Doll set appears in some of our Needlework Development Scheme publications and although the image of this item is not in colour it is clear that the description, pattern and presentation of this doll appear to be identical to the one in our collections. 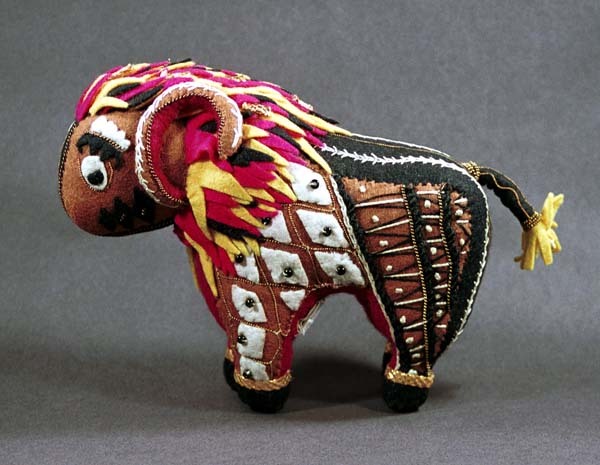 This publication confirms that the doll was made and designed by a Barbara Jenning. While the majority of our Needlework Development Scheme textiles came into the archive when the scheme was disbanded – at which point the GSA Head of Embroidery at the time selected a number of examples for the School’s collection -unusually this item was donated to the archive at a later date as an individual item into our collections. 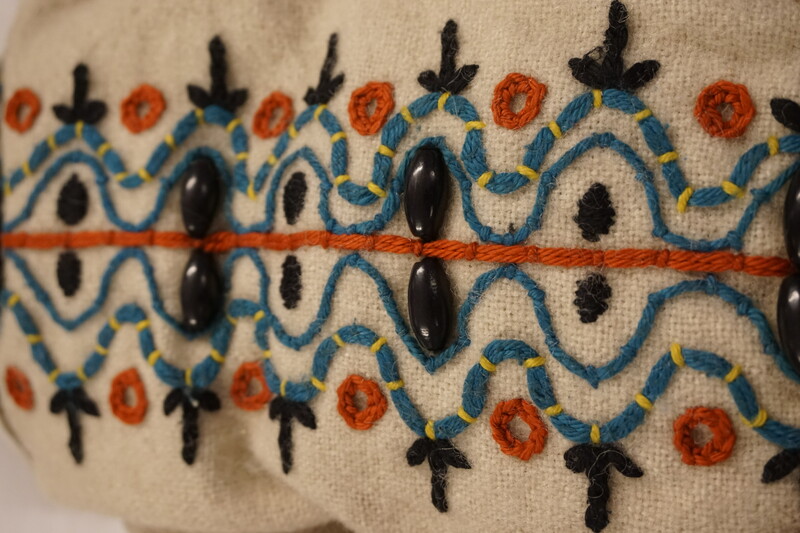 After reviewing the Collection’s acquisition files I found that the item had been donated to the School by Elisabeth Geddes, who also has a connection with the Needlework Development Scheme. 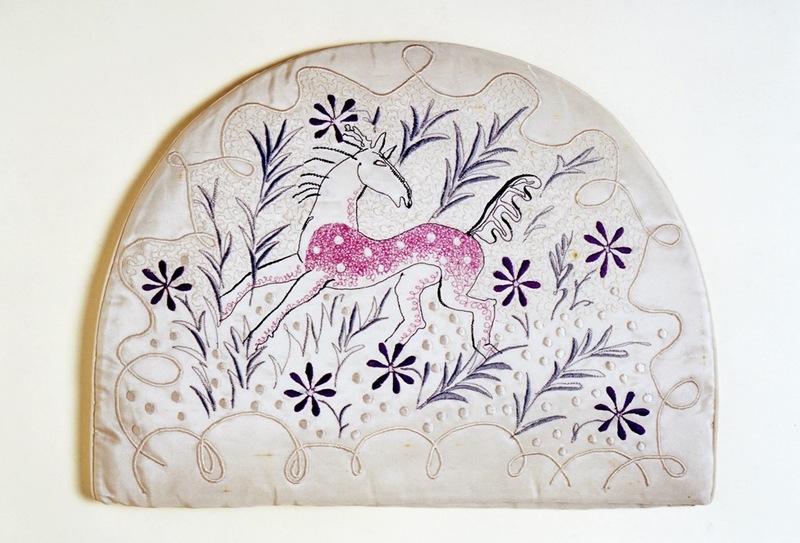 Geddes trained at Reading University of Art as a book illustrator and wood engraver, before studying hand and machine embroidery and going on to do freelance work for the NDS as a creative assistant to Iris Hills who was the ‘expert in charge’. While we now know that the Doll was donated to the GSA Collections by Geddes, we do not know exactly how it came into her possession. Perhaps this Eskimo Doll was gifted to Geddes at the end of the Scheme? 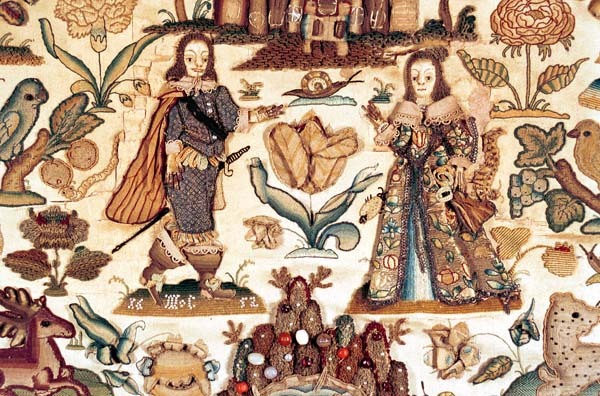 Or came into her possession through other embroiderers who had worked and produced textile examples for the collection? 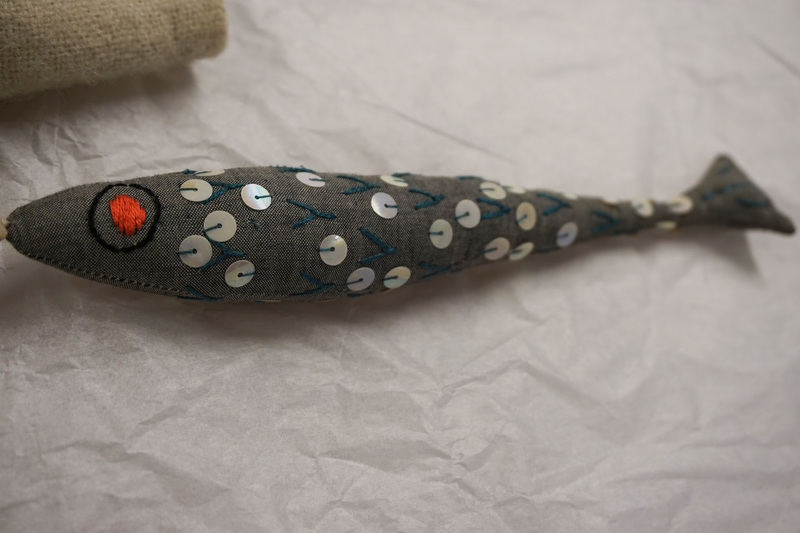 While a small part of this doll’s history has been uncovered, there is still some mystery surrounding its journey from the Needlework Development Scheme Collection to our holdings. Hopefully further research will reveal more. Until next time!